Tenants at the West Hotel on Vancouver's Downtown Eastside say the elevator is out again, despite having sued their landlord for the same reason in 2015. 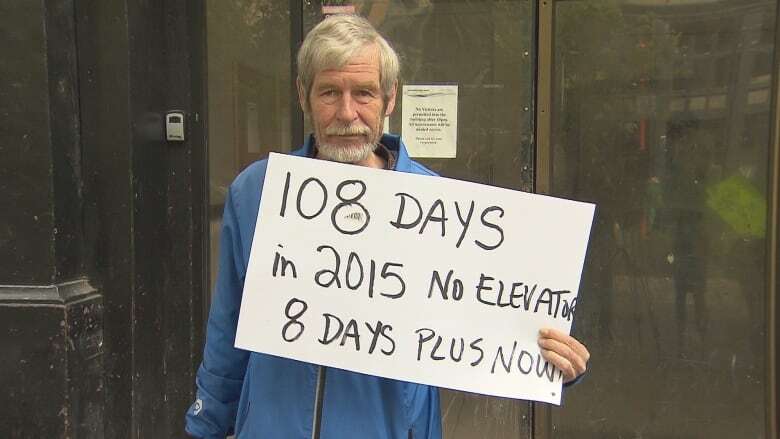 The elevator at the West Hotel in Vancouver's Downtown Eastside has been out of service for the past eight days, raising concerns for tenants there with limited mobility. Residents of the eight-floor single room occupancy hotel launched a lawsuit against their landlord for the same issue in 2015. It was one of the largest joint lawsuits against a landlord in B.C. history. The ruling has yet to come in. Dan Zimmermann, a tenant advocate for the West Hotel, says he understands that "equipment breaks," but "we need to know that things are being done in a timely manner." "Our biggest concern right now are the elderly and the people that are disabled who have problems or need help getting up and down the stairs," he added. "They're not getting any assistance — nobody's checking up on them." 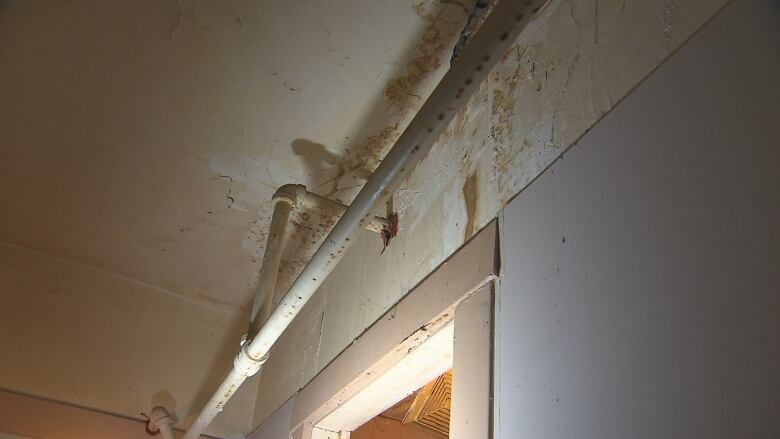 Zimmermann says it's not just the elevator that's a problem; he points out mould and cracks and says the building is poorly maintained. 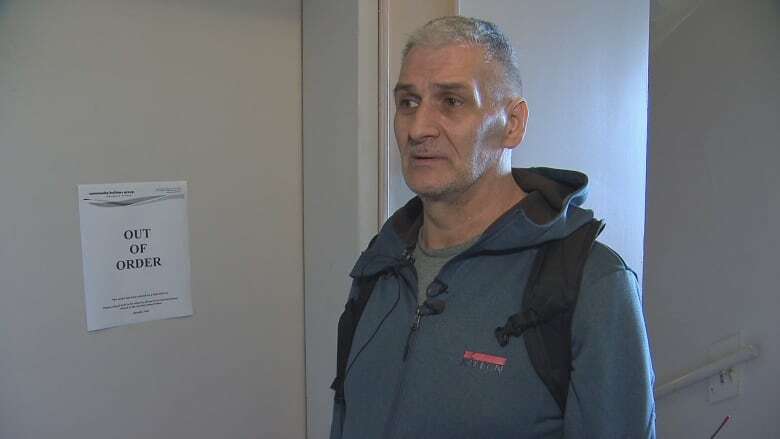 The City of Vancouver's chief licence inspector, Andreea Toma, said no complaints about the elevator service have been reported, but the city is helping some tenants out. "There are currently no residents requiring wheelchair accessibility, but alternate housing has been offered to several seniors who may get fatigued using the stairs," she said in a written statement. She added that Community Builders, the operators who manage the building, have been co-operative and the elevator should be fixed in five to seven days. The West Hotel is not the only one on the Downtown Eastside with problems — residents at the Balmoral Hotel were trapped after their elevator broke down, and the Murray Hotel has faced numerous bylaw violations, as did the Regent Hotel and the Lion Hotel. Vancouver city councillor Kerry Jang previously said the SROs need to be shut down and replaced with new housing. But Wendy Pederson, a representative with the Downtown Eastside SRO Collaborative, says the municipal government can still help vulnerable tenants in the area without resorting to such a drastic measure. "We need some kind of a new law where the city forces the landlords to check in and make sure that people are safe," she said. "Especially in our community, which has the highest concentration of people with disabilities and seniors in the region."